Opening in 2017, The Integrated Doors by Total Door Systems. 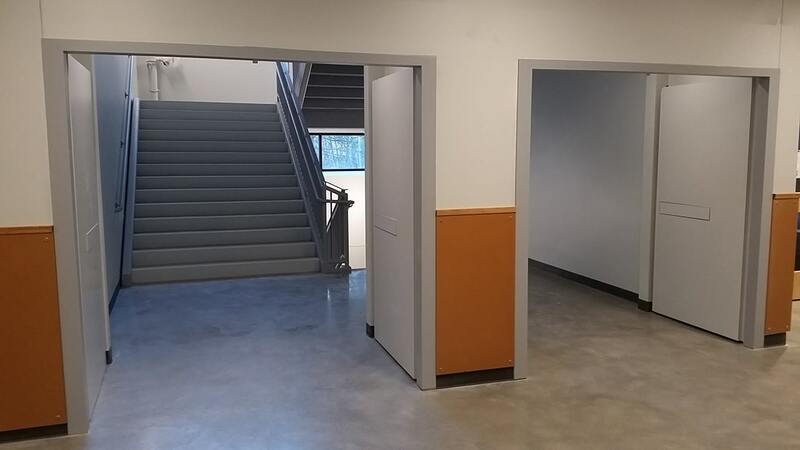 Over 50 hold open doors in stairs and cross corridor applications. Factory prefinished with flush exit hardware.